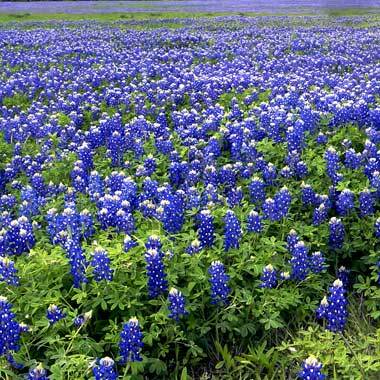 Every spring the Texas bluebonnets (this link has great information about the state flower!) bloom across fields. And many Texans travel to remote areas to take pictures of their kids, pets, and families in the midst of the pretty blue blossoms (and most try not to squish them). Don’t pick them! Since my girls are Mockingbird and Armadillo, I thought that the other girl in our lives should be Bluebonnet. She agreed. Bluebonnet is the friend Mockingbird has known the longest. Her favorite thing to say when they were younger was, “She’s been my friend since before I was born.” I don’t doubt it. They are only three weeks apart in age. We moms put them in as many toddler activities as we could. They also went to Mother’s Day Out and preschool together. They were so much like sisters then that the preschool separated them for one year. The six of us went to DisneyWorld together when Mockingbird and Bluebonnet were six years old. They wore matching fancy Cinderella dresses that were pink and blue. It was one of the few times Mockingbird willingly wore any snippet of pink. They were each only children for nearly eight years together. Then I had Bluebonnet’s little sister. Just kidding! I had Armadillo. She is all ours and definitely Mockingbird’s little sister. But she loves Bluebonnet. Adores her. She’ll hug Bluebonnet after snubbing Mockingbird. She’ll get mad at Mockingbird for playing with her hair and five minutes later let Bluebonnet do just the thing she wouldn’t let her sister do. So the joke has been that we had Bluebonnet’s little sister. Bluebonnet was also the inspiration for the middle grade novel I just finished. I’ve started working on the second book now. See, she is very picky about what she reads. If it’s not required for school, then she doesn’t read it. I can’t keep books out of Mockingbird’s and Armadillo’s hands, so this was so shocking to me. I asked her what a book had to be about to make her want to read it. Mockingbird helped with acceptable character names. (“You can’t use that name, because I know a kid who…”) Then I wrote it. I wrote it while I revised a huge fantasy novel and worked and did all the things that I do when I’m not writing. Sleep was not a nightly activity. I finally finished it and gave her a copy–my ultimate beta reader. And she read it! She vetoed two of the characters’ names and agreed on new names. She approved the band class scenes, since she’s the expert. And she liked it! Mission accomplished! I love these new kids almost as much as I love my three Texas girls. While Mockingbird and Bluebonnet are getting a bit old for the stories, Armadillo can’t wait for me to finish the second one. Bluebonnet is the one who taught me about selfies, totes, and Sharpies. It was past time for her to have her Texas introduction. Especially since our families are getting ready for our third vacation together and she’s teaching me about other things that will need to be blogged about.